Home » Pop Culture » Countdown to Halloween! October holds a special place in my holiday heart because I get to celebrate my favorite day of the year, Halloween. Just picture it. A darkened theater, a bucket of popcorn, sitting terrified and curled up in a ball; just for the scare of it! 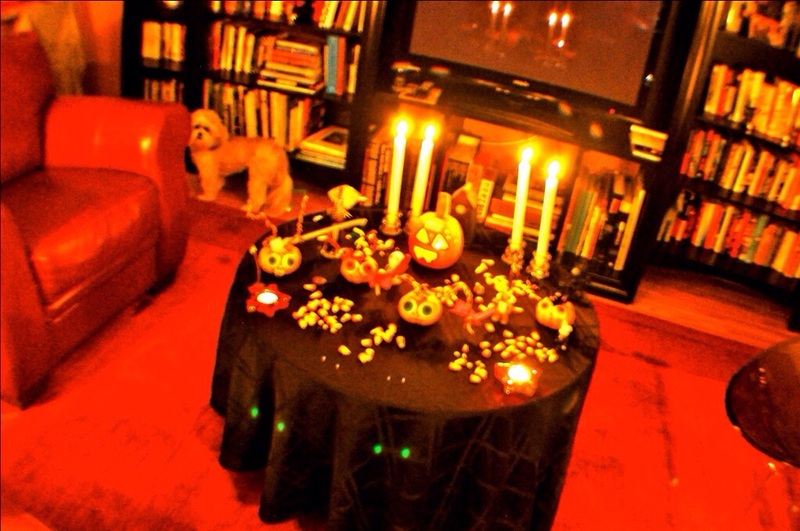 An essential part of the ritual is breaking out my awesome Halloween decorations and filling up the trick or treater candy bowl with first-class, yummy confections. Envisioning kid’s faces as I proudly hand out M&M’s, Reese Cups, Skittles and no candy bowl would be complete without my personal choice – Snickers! As a seasoned Halloween aficionado, the mood wouldn’t be complete without a spooktacular horror classic marathon streaming on the big screen TV! Thanks so much for sharing my post! So happy you enjoyed it. Checked out your blog and I love the variety of subjects. Will definitely be back! Donna Marie, you have a new fan. I came across your blog and now will be a regular visitor.